“Kay Spiker-Petty of Mesa, Arizona, 71, passed away among family on Sunday, April 3, 2016. Kay is survived by her loving sons John Michael and James Anthony. Born in Broken Bow, Nebraska, Kay was the fourth of six children and is survived by sisters Bobbie Saint and Cherie Carle and brother Duane Myers. 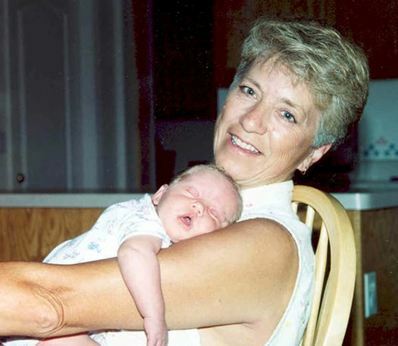 Kay was a devoted and loved Grammie to her eight grandchildren Adriel, Cayden, Jacob, Jamie, Jeri, Nicholas, Ryan, and Sarah. A Celebration of Life will be held Saturday, April 9 at 2:00 PM, at Mesa Palm Seventh Day Adventist Church 6263 E. Thomas Rd, Mesa, AZ 85215. In lieu of flowers the family has established a memorial fund for educational expenses for Kay’s grandchildren. My thoughts and prayers are with the family. So sorry for your recent loss. Thoughts and prayers to you Cheri and the family, during this difficult time. Kay was a sweet women. She help us ( my dad Art Koefoed) when his wife was passing away. I am sad to hear of her passing. Praying for comfort for her family.